could work together,” she dreams. “Or if he can make enough money to come here and start a business of his own, that might allow him to spend half of the year here, and the other half in Italy. There is a town in West Africa where it has become traditional for men to leave and seek work in Italy. The women are often left behind for years, or even for decades. Alimata Bara is a joker, always smiling, always laughing. Today she is laughing at her own misfortune – the misfortune of being a “celibate wife”. Seven years ago, at the age of 17, she married an “Italian” – a local man working in Italy. Since then she has spent less than six months with her husband. And of course, that is not the life she once imagined for herself. “When you are a young girl, what do you know about life? You see an Italian, and your whole body starts to shake,” she says, with another big laugh. 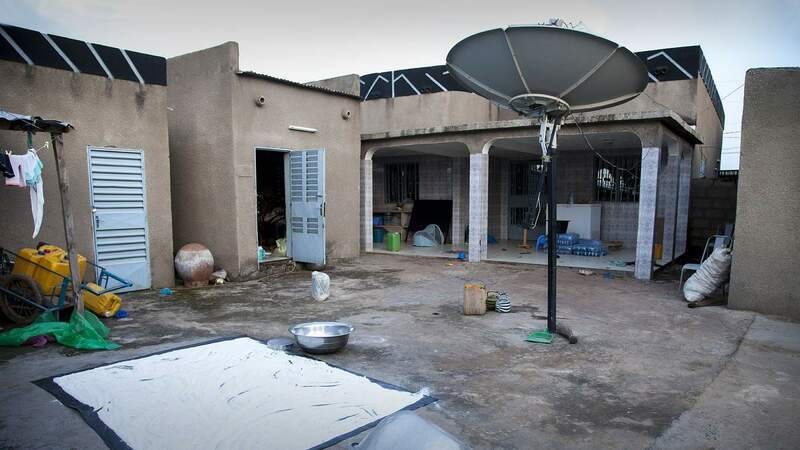 We are sitting on the porch of her house in the compound belonging to her husband’s family in the town of Beguedo, 230km (140 miles) south-east of Ougadougou, the capital of Burkina Faso. “We met in the market, and started chatting,” she recalls. Once upon a time, it took months to organise a marriage in a rural area like this. The suitor had to work in the parents’ field, gain their trust, show that he could provide and be a good husband for the woman he longed for. But now, months have turned to weeks – and sometimes days, when the potential husband is on holiday and is about to head back to Europe. In Beguedo, the “Italians” usually come home in August or December. Those periods have become wedding seasons – a time when girls dress up and go out to parties in the hope of meeting a husband. It’s a poor area, where migrant workers have long symbolised the promise of a better life. For a while, Alimata thought she was living the dream. Three weeks after a beautiful wedding ceremony, Saada went back to Italy. 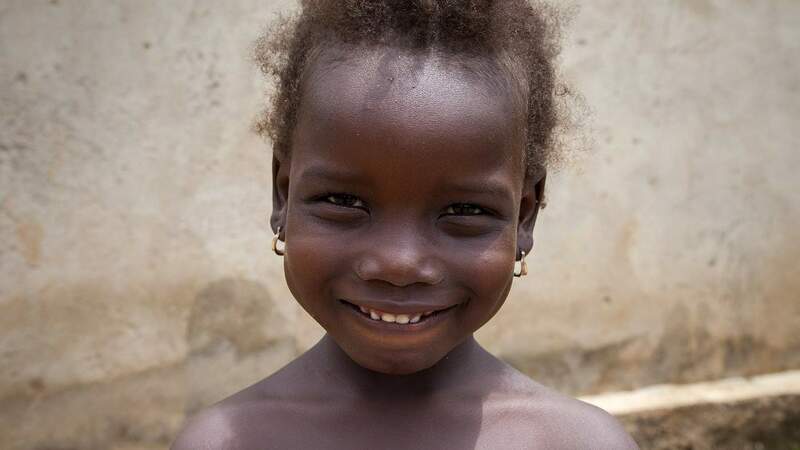 Alimata settled in with her parents-in-law and in due course gave birth to a daughter, Omayma. 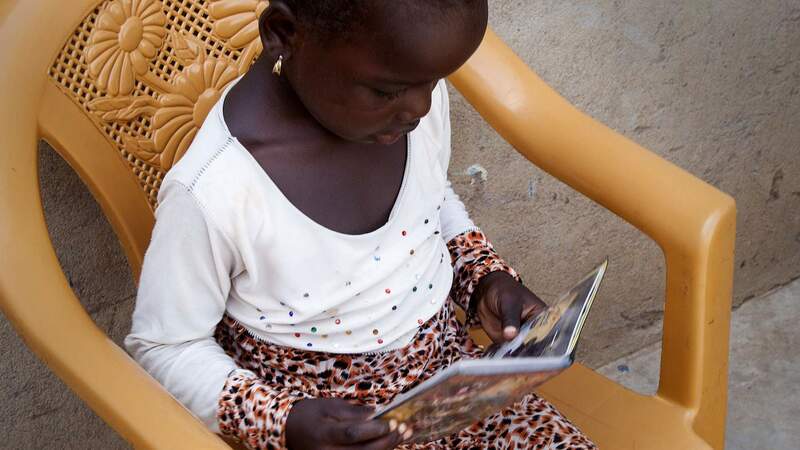 Now six years old, she takes great delight in flipping through photo albums and pointing to “Daddy!” – Saada posing in a field among crates of tomatoes, a continent away. After their wedding, it was almost three years before Alimata was able to hold her husband in her arms again. He came back for three weeks in 2011, and then a couple of months in 2014. He has the papers that would allow him travel back and forth between Beguedo and Italy but cannot afford to. 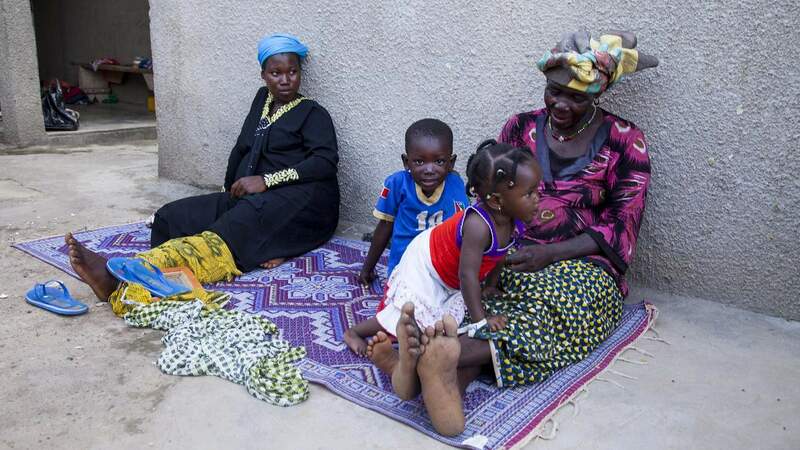 The couple’s second child, a boisterous boy named Obaidou, now three years old, has only seen his father once. Alimata is still smiling, though ruefully, when she describes her lonely nights. In Beguedo, scores of women share the same fate. Nematou, who lives just across Alimata’s yard, is married to Saada’s brother – and he is also working abroad. Nematou and Alimata are almost the same age, and the two have become close, sharing the hardships of bringing up their children on their own, and cracking jokes about it as often as they can. Half the mothers in the village are in the same position, according to a former mayor, Beatrice Bara. It’s an unseen consequence of the migration of thousands of African men to Europe. It’s not like this in every town, but here and there circumstances conspire to draw large numbers of men abroad, leaving behind a town full of women, waiting for them on the continent they left behind. When they marry, the men promise to come back often, or to fetch their wives once they are properly settled on the other side. Some have. But that was before the economic crisis, and before Europe gradually turned into a fortress. 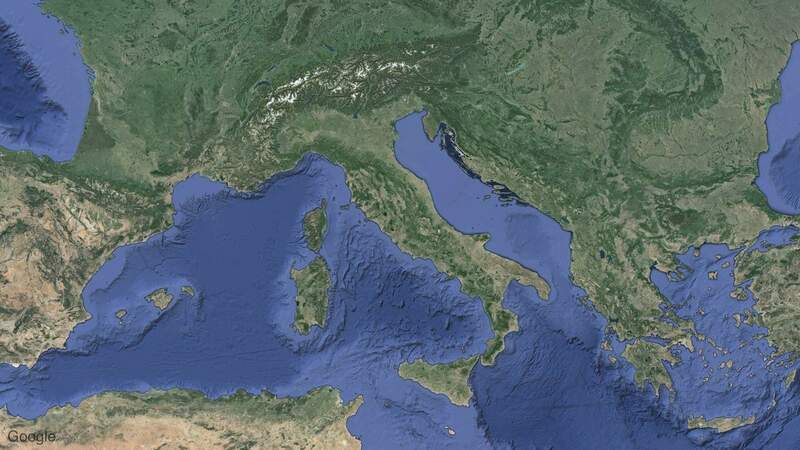 Until the early 1990s, people from Burkina Faso did not even need a visa to travel to Italy. Even in 2008, when Alimata married Saada, she thought that in time she would join him in Italy. “He thought he would bring me along, but then he lost his job,” she says. In some ways it also made sense for her to stay, to look after Saada’s parents as they get older. She brings up the children, works on the land, cooks food – the household revolves around her. When Alimata eventually realised she would not be joining Saada in Italy, she thought at least that they would be comfortably off. 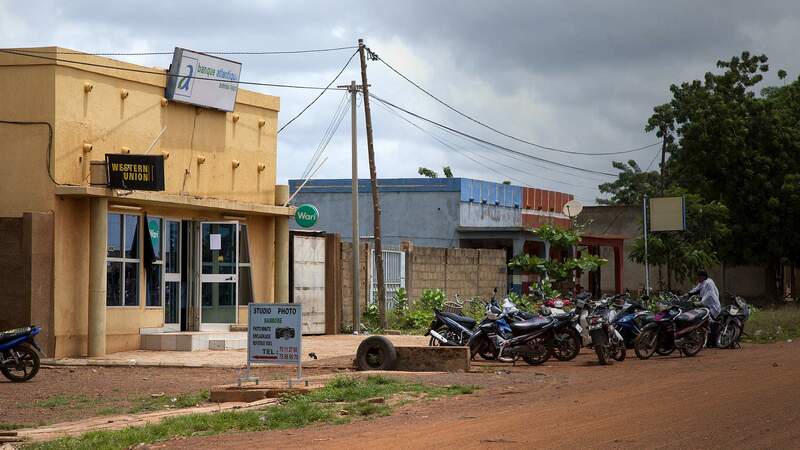 This is meant to be the consolation for an absent husband, and Beguedo – while it has no supermarket, and no hospital to speak of – has several places where people can receive money wired from abroad. 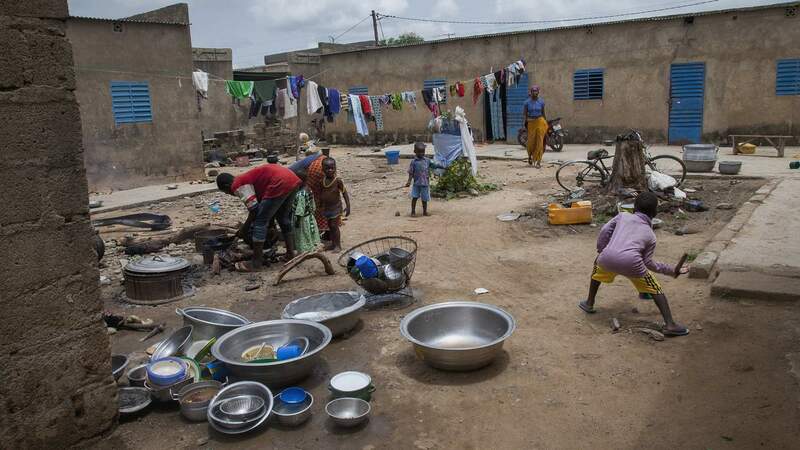 However, while Saada was able to build a one-bedroom house for Alimata in his parents’ compound, he has never been successful enough in Italy to send much money home – just 25,000 CFA francs (about £25) now and then, with months in between. The last time Alimata received something was in May. Since then, nothing. Luckily she has never relied solely on Saada’s money. When she was pregnant with her first child she would go and sell vegetables in the market. Her feet started to get swollen from sitting all day under the sun, and her husband told her to stay home, but by then she had saved a little money. 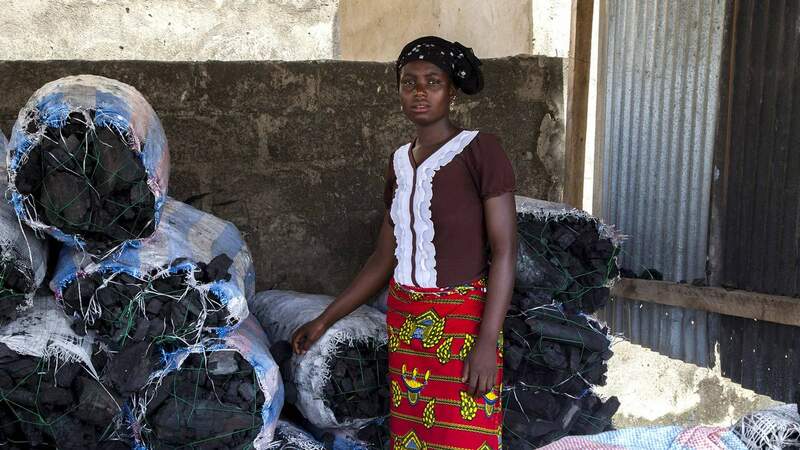 So, after Omayma was born, she bought a couple of bags of charcoal and started to trade, reinvesting the profits. Now she buys at least 30 bags of charcoal at a time. Her husband pitched in to build a small shelter for her business in front of the house. 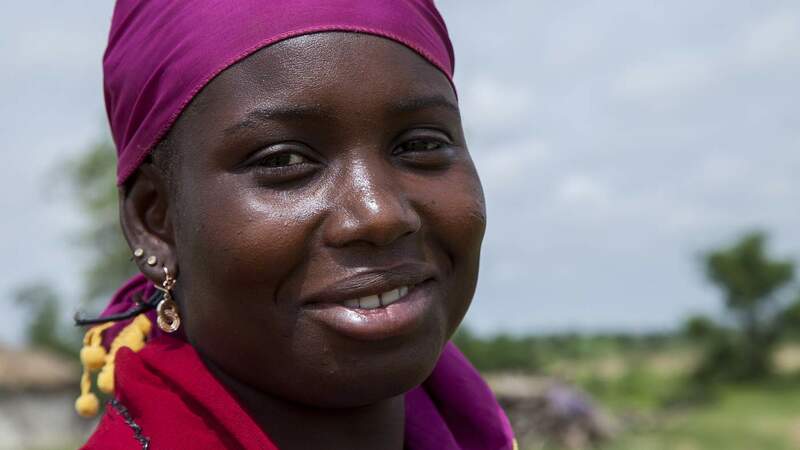 Whenever she has the time Alimata also cycles to her mother’s field to help her work the land. They grow gombo, millet, onions and peanuts. 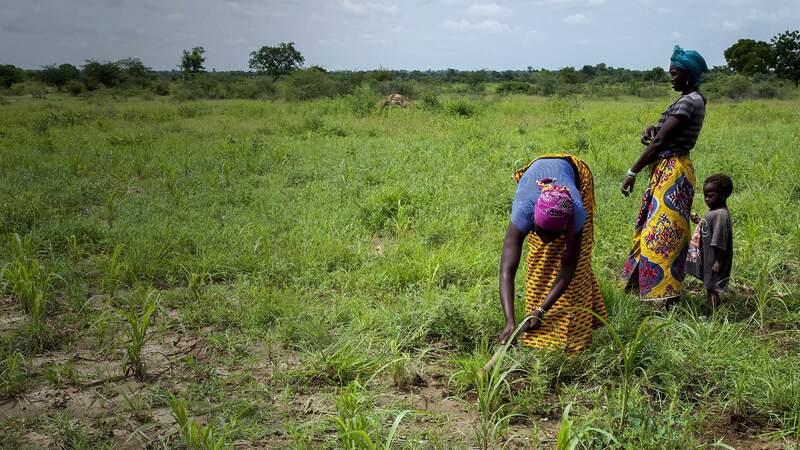 “If my peanut crop is good this year, I will be the one paying for my husband’s plane ticket,” she says, beaming. It’s another joke. Five years of peanut crops would not pay for a plane ticket. Over the years, Alimata has stopped dreaming of joining Saada abroad. “Now I just want him to come back,” she says. At least he still calls often. “Before he only called when he could buy airtime. And sometimes I would not hear from him for a week or two. Or he would call but after a couple of minutes we would get cut off,” she explains. The last couple of months, things have changed. They have started to use Skype and Alimata is now a frequent customer at Beguedo’s tiny cybercafe. “He says he misses me. From time to time, he sounds so disheartened,” she says. She feels lucky that they talk often. Some women find there are lengthening silences as a husband who is geographically distant becomes emotionally distant too. On some streets in Beguedo straw-roofed huts adjoin big houses. The big houses tend to belong to “old” Italians – those who left for Europe before the economic crisis, and found so many more opportunities there than the “new” Italians who followed them later. Mominata Sambara is married to an old Italian. Her face is very wrinkled and she does not know her age. Her husband left for Italy almost 30 years ago, returning regularly enough for the couple to have seven children. “Things went well. Each month he would send 50,000 CFA francs (about £50). He built a house for us,” she says, sitting on a colourful mat in the front yard of her house. Her villa has a vast veranda, an intercom and a satellite dish. Her life seems peaceful – she works in the field, sells crops at the market and takes care of her grandchildren. Next to Mominata sits her daughter-in-law, Fatimata, whose husband is also in Italy. “But things are different now,” she says. Fatimata is not so well off as her mother-in-law was. Beguedo’s young men still want to believe Italian grass is greener though, possibly because those who return show off their success and hide their difficulties. 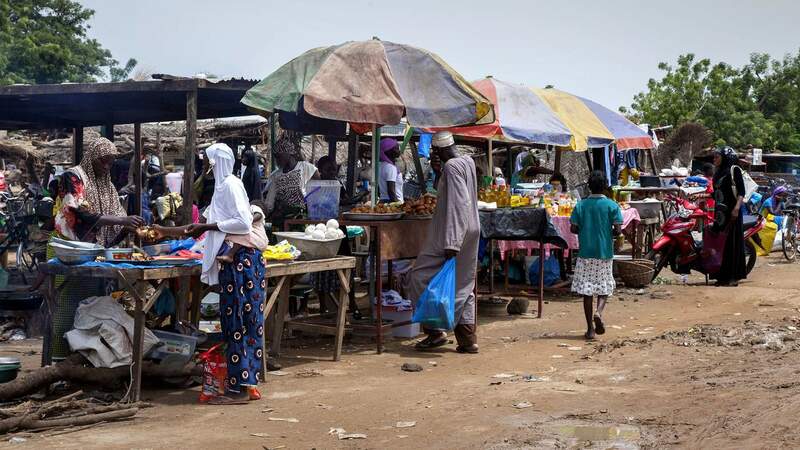 “People who left but did not manage to make money abroad are stigmatised, and they usually don’t even go back to stay in their village,” says Prof Mahamadou Zongo, a sociologist at Ouagadougou university. The Italian dream has affected school attendance in Beguedo. Young men lose interest because they would rather make what they think is easy money in Italy, while young women are sometimes withdrawn from school to marry Italians. 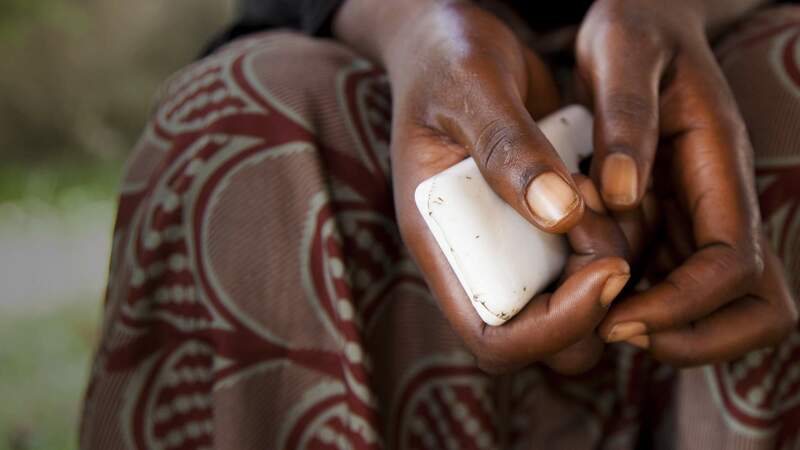 But Zongo says some women are becoming more aware of the downsides. “Between the wedding day and the next stop of the husband in the village, there can be up to five, six, seven years,” he says. If someone in the husband’s family considers her behaviour inappropriate, renunciation can be “as quick as a phone call”. And then there is the risk of having to accept a rival. 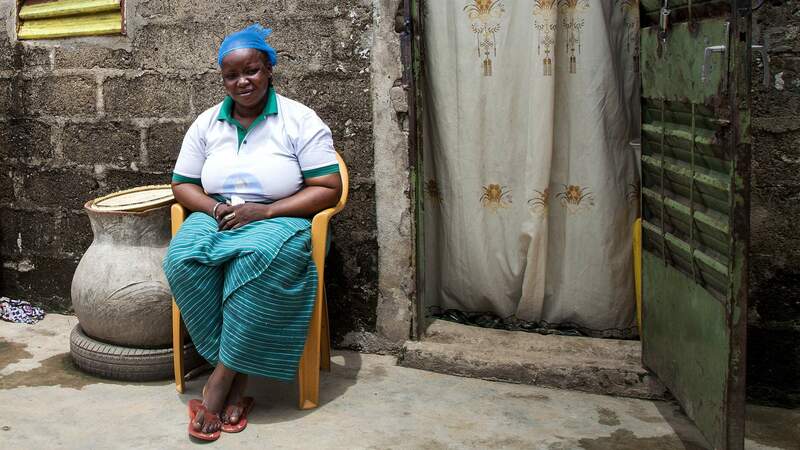 With a bittersweet smile, 50-year-old Adiassa (not her real name) says her life “is leaning towards the end”. Her husband of 30 years has lived in Italy for 20 years, and even took two of their sons to live and work there. “At the beginning, things were good, he would come back every couple of years, and send good money,” she recalls, adjusting the frayed beige veil that covers her head. “Yes, things were really good,” she repeats, cheekily making a noise with her lips to mimic kissing. But six years ago her husband informed her that he was planning on marrying a second time. The Bissa people who live in Beguedo and surrounding regions of Burkina Faso are Muslim. Polygamy is allowed in their culture. Yet it was a harsh blow for Adiassa when her husband not only married a much younger woman but also took this one with him abroad. 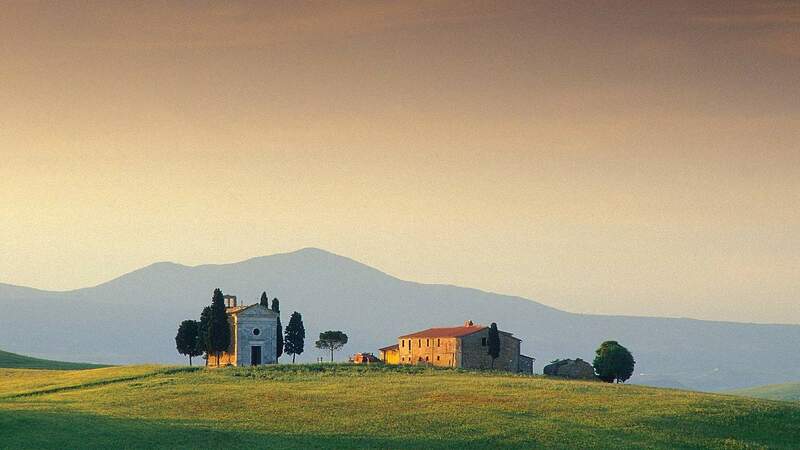 She had hoped to see Italy herself, and had waited many years. “But I could not keep up,” she says. Her husband does not send money any more, nor does he call. Now she just relies on her children to take care of her. Awa Sagne had a similar experience. Shortly after she got married, Awa’s husband left her and their first child to find work abroad. He did not have enough money to get to Italy, so he went south to Gabon. Things were tough at first, but two years later Awa joined him. She became a hairdresser, and they had two more children. “I liked living somewhere other than here, and I enjoyed my work,” she says. But then she fell ill and had to go home. Her husband, meanwhile, finally made his way to Italy and prospered there. Three years ago, to demonstrate his success, he took a second wife. 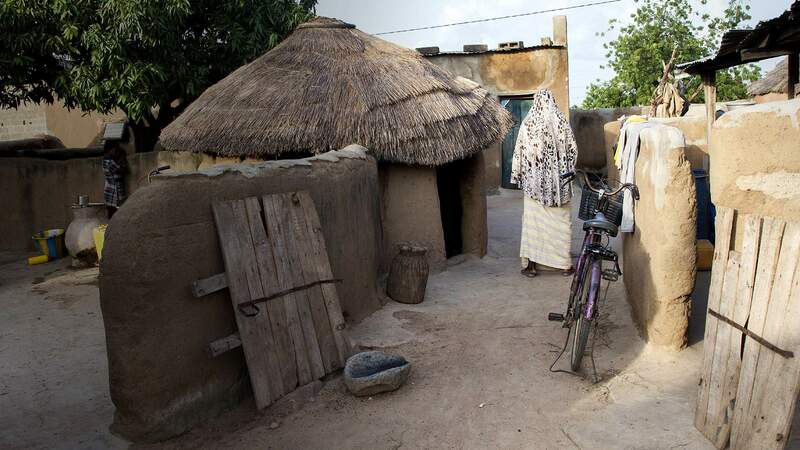 After years struggling with her husband to make ends meet, Awa, at the age of 38, is now sharing the family home with a wife almost 20 years younger than her. It’s easy to appreciate the blow this represents to her pride, when she tells a story about an occasion years ago, when her husband was already working abroad and sent a disappointingly small amount of money home. It was perhaps as an insurance policy against a fate like this that 22-year-old Malika (not her real name), quietly opened a bank account after her marriage to an Italian three years ago. Whenever she can, she puts some money aside, even if it is just a few pennies. “You can’t tell your husband everything. And you can’t trust him 100%,” she argues. Even if he sent her enough money to provide for her, she would still work, she says. For many wives in Beguedo, what happens in Italy stays in Italy. The women often don’t know exactly where their husbands live, or what jobs they do. Alimata just knows that Saada has worked on farms. Her sister-in-law, Nematou, vaguely says her husband used to work in a factory. The women are aware that their husbands may have to move around, as they go from one job to the next. They can appreciate that their lives may be hard, but know little about their actual living conditions. In Beguedo, stories go around about Italians coming back with an Italian wife and treating their Beguedo wife as though she were a sister or a cousin for the duration of their stay. Many wives in the village don’t even assume their partner remains faithful. But what about what some Africans call “opening a second office” – cheating, having a mistress? Again, Alimata laughs out loud. “You can’t know that. If I ask him, of course he is going to say, ‘No.’ But can a man go three years without laying hands on a woman?” She pauses, but does not expect an answer to her question. In any case, when he comes back, Saada will not face any scenes or jealous questioning. Alimata just hopes he will return, and be with her at last. 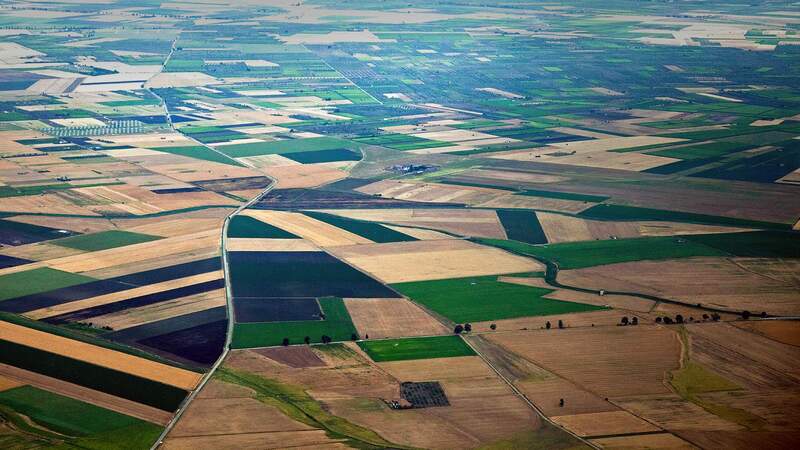 When contacted by telephone in Italy, where he is currently working on a farm outside the southern town of Foggia, Saada was tight-lipped, possibly to avoid annoying his employer. Agricultural labourers often have to work extremely long hours for low pay. When asked if he would have time to meet a reporter, Saada said he had no days off. 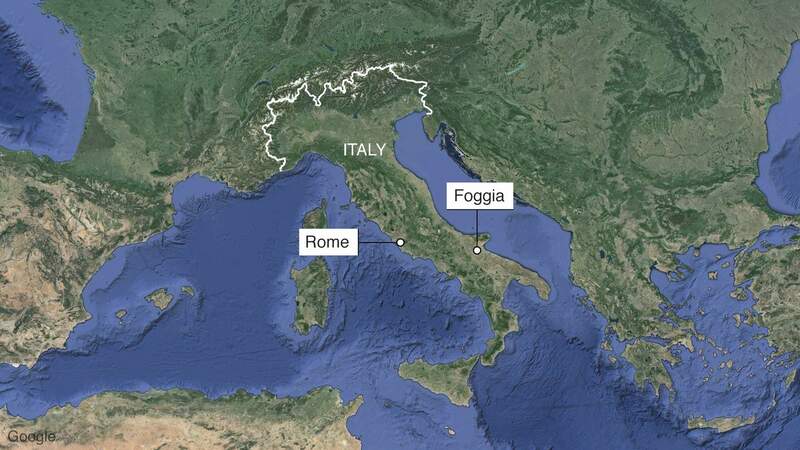 Saada said he had been in Foggia since 2010, after losing another job at the time of the financial crisis in 2008 – the moment Alimata referred to when his income plunged. 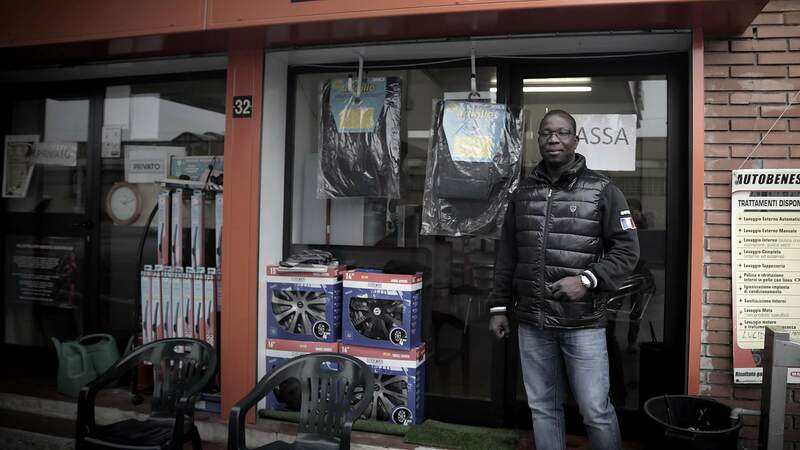 Men from the Bissa community first began travelling to work in Italy in the 1980s, after a man who had been working as a driver for a diplomatic family in Ivory Coast went with them to Rome and returned a wealthy man – by local standards, at least. 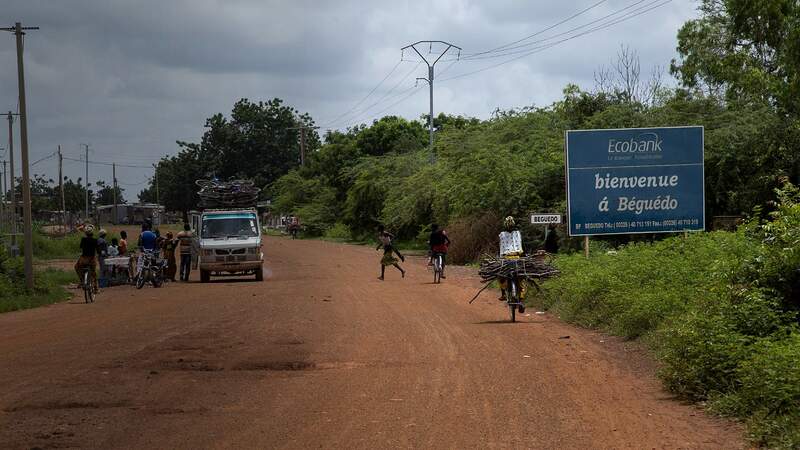 “When he came back to visit Beguedo we watched him build a house and buy a nice motorbike, and we thought – as there is no work in Burkina, maybe we should go and help out abroad too?” says Inoussa Bara, one of the leaders of the Burkinabe community in Italy. Even before that, Bissa men were inveterate travellers, according Mahamadou Zongo, the sociologist. In the past, some would migrate to the Gold Coast – now called Ghana. Others went to Ivory Coast. Italy, North Africa, and oil-rich countries in Central Africa, such as Gabon and Equatorial Guinea, are newer destinations. 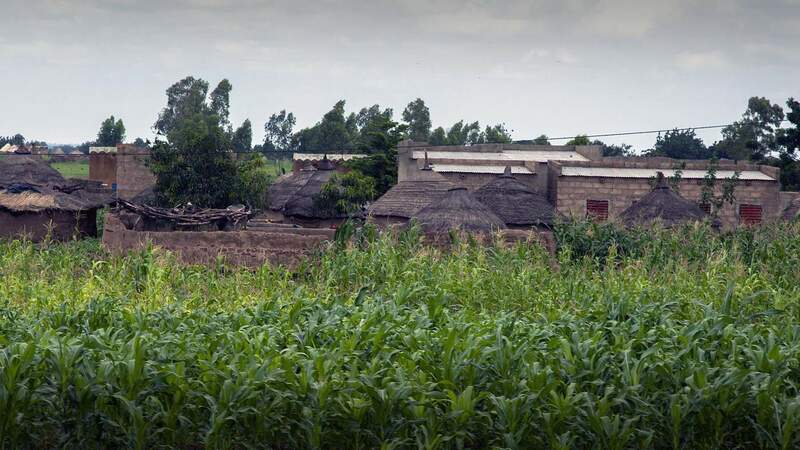 “Among the Bissa and the Mossi (another ethnic group in Burkina Faso), migration is almost part of the initiation, the path that leads from boyhood to manhood,” says Zongo. Someone who has travelled far, he says, is said to have “had his eyes opened”. According to Inoussa Bara (no relation of Saada Bara) the Bissa people make up 80% of the 45,000-strong Burkinabe community in Italy, which is the biggest in Europe. When Inoussa set foot in Italy in 1991 its doors were wide open. “When you arrived at the airport, the border police asked you the purpose of your visit. ‘I’ve come for a holiday.’ ‘For how long?’ ‘Two weeks.’ ‘How much money do you have for your stay?’ … And if you had enough money in your pocket they would let you in. And then of course you didn’t leave,” he says. In 1995 there was an amnesty for foreign workers, and he got his residence permit. Then in 1997 his wife came from Beguedo to live with him under the family reunification immigration policy. Prof Mahamadou Zongo says the first Burkinabe immigrants worked in tomato fields in southern Italy – where, it’s often been reported, many of them were and are still exploited by unscrupulous employers. After a while, some managed to move to northern Italy, where they got stable jobs in factories. 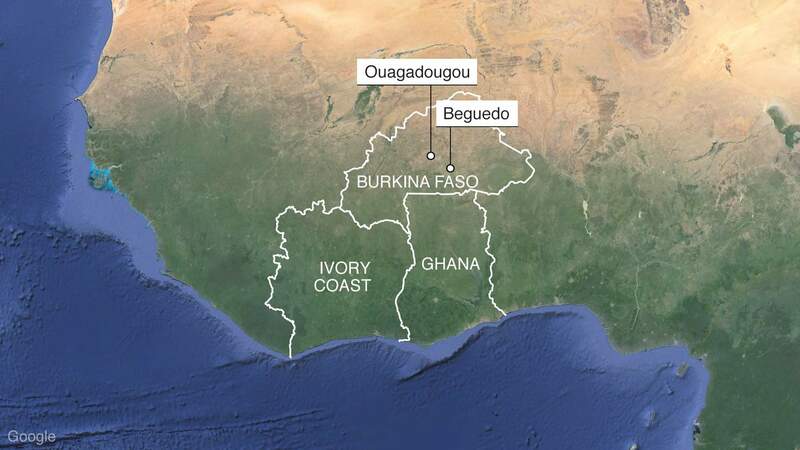 According to Inoussa Bara it remained the case that new arrivals from Burkina Faso generally first worked in the south, then looked for opportunities to go north. That was until this year’s immigration crisis and the opening of retention camps where immigrants may be held, then farmed out across Europe. With a degree in foreign languages, Inoussa Bara never worked in agriculture – he started out in a car-wash – but he too moved from Naples to northern Italy, where, in 2009, he was named Employee of the Year in a competition run by the Manpower recruitment agency. In recent years, even those who have found a steady job and acquired a residence permit have found it more difficult to bring wives to join them in Italy, because of changes to the family reunification policy. In a recent story about the sorrow of celibate wives in Beguedo, a journalist in Burkina Faso compared them to Penelope, the wife of Odysseus in Homer’s Odyssey. She waits 20 years for her husband, who went away to fight and win a war, confronting all kinds of mythological creatures before he can return. She stays at home, raises her son, works tirelessly, and turns down other suitors, remaining faithful to Odysseus. Homer’s epic has a happy ending, but life does not always mirror fiction. Alimata racks her brains to think of a way she and Saada could earn a good income, if he were to come home. But opportunities in Beguedo remain scarce to non-existent. “Maybe if I could have another business, plus the charcoal, then maybe we could work together,” she dreams. 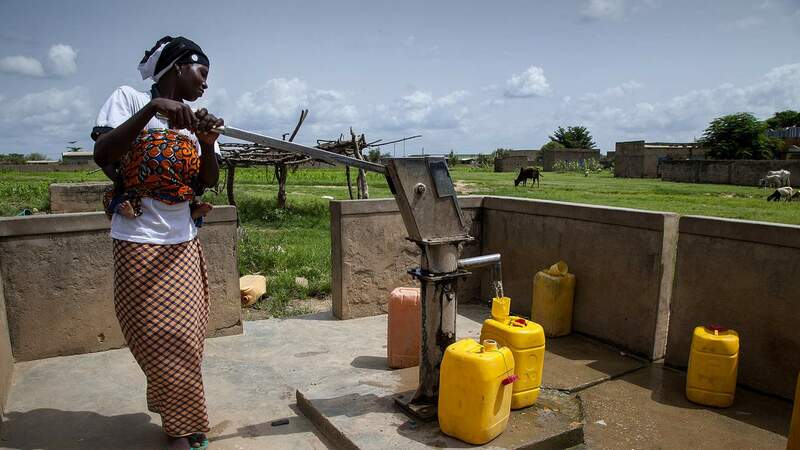 Posted on 2nd December 2015 by newsafrica. 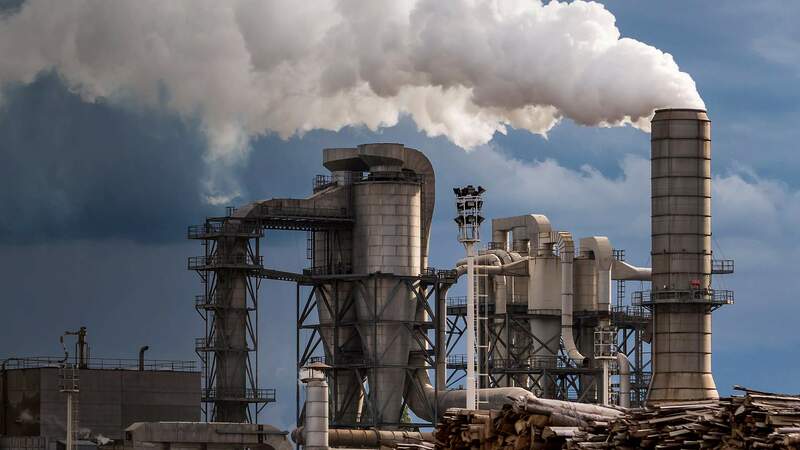 This entry was posted in Africa and tagged Abuja, Benin, Blaise Compaoré, Burkina Faso, Coup d'état, Economic Community of West African States, Michel Kafando, Nigeria, Ouagadougou, West Africa. Bookmark the permalink.